Christmas is right around the corner, so if you are wondering what to get that special someone this year, we have looked around for some new and great gifts that are sure to excite the musician in your life. We’ve listed three different items, all in different price ranges. Enjoy! App connected rings that allow you to turn the colors around you into sounds. Specdrums app runs on IOS and Android. You can assign new sounds to virtually any color around you. Specdrums also allows you to connect to drum kits, keyboards, and even your own recordings on music making software. You can create and send “Sloops” via text and social media. Specdrums have also proven useful in teaching as music teachers are learning the versatility they provide. Here’s how they work: you buy the rings, the app is free, they require little storage, and are easy to set up. 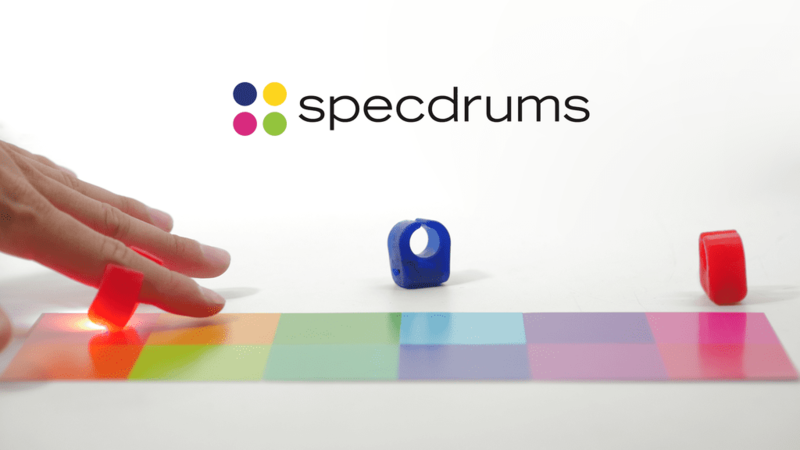 The cost of Specdrums run $89.00 for a pair of color rings, to $399.00 for a set of 10. Also included with your specdrums are a dual micro USB cable capable of charging two rings at the same time, a 12 color specdrums keyboard, a 3.5mm auxilary cable to plug your mobile device directly into speakers, a beginner’s guide, and a sticker. Hand activated percussion instrument. Steel tongue drums of different shapes and sizes to produce musical tones. The HAPI Origin, Slim, and the Mini use a 8 note pentatonic scale arranged around the top of the drum, the HAPI Omni uses a nine note scale in G or F major, the HAPI UFO uses 11 noted in the C major scale, and the HAPI Bell is a combo tongue drum, bell, gong, and singing bowl. The HAPI drums range in price from $99.00 for the Mini and upwards to $525.00 for the UFO. 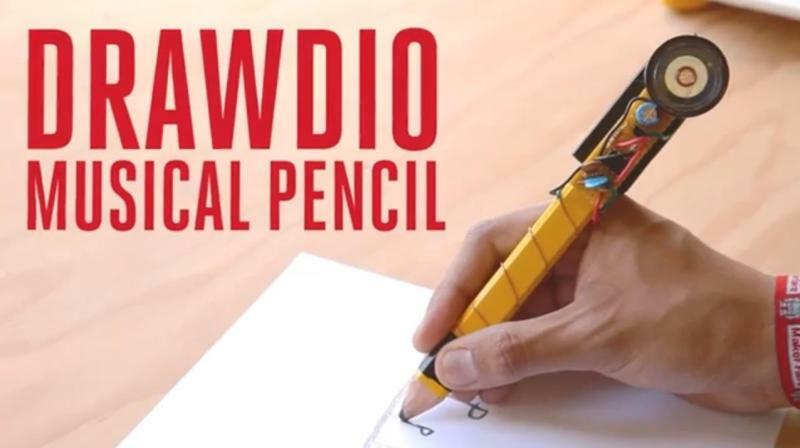 Drawdio comes in a kit which you assemble and is an electronic synthesizer built onto a pencil, allowing you to make music while you draw. Drawdio runs on a single AAA battery. You can use any pencil, mechanical or plain and the kit comes with a 2 B pencil. The softer the lead, the better for music making. The electronic kit comes unassembled with all the electric components you will need. Best of all, the kit is only $17.95.